The R101 airship was thought to be the model for the future, an amazing design that was ‘as safe as houses. . .except for the millionth chance’. On the night of 4 October 1930 that chance in a million came up however. 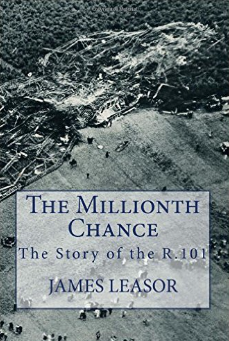 James Leasor brilliantly reconstructs the conception and crash of this huge ship of the air with compassion for the forty-seven dead, including a cabinet minister – and only six survivors. One of the biggest disasters of British aviation history, which marked the end of commercial airships as a serious form of transport, this book also reads as a textbook of how state attempts to manage commercial ventures so often end in a disaster of one kind or another.